Today my heart feels heavy. Last week, a young woman named Eurydice Dixon was raped and murdered in Victoria, Australia, as she walked home from performing a comedy gig. Before the alleged perpetrator had turned himself in and was charged, Victorian Police Superintendent David Clayton made outrageous statements about how women need to be aware of their surroundings and should carry a mobile phone. You can read more about that and about the reaction to those comments here. I feel so lost and helpless when it comes to this tragic story, and felt compelled to share my opinion. So, let’s talk about victim blaming. Because that’s really what this is, in a more indirect, subtle way. 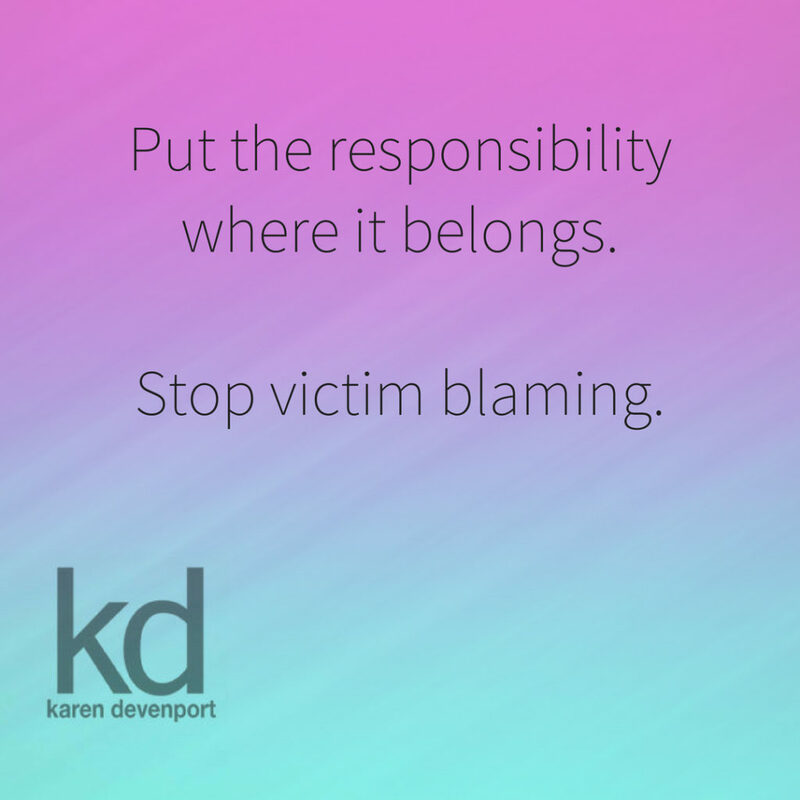 As a recent victim of crime myself, I’ve experienced victim blaming too. When the story of that crime hit the media, I made the mistake of reading some Facebook comments about it. I know not to read the comments. Yet sometimes I still do. And immediately regret it. The perpetrator of the crime against me was described by many of his victims as a monster, and by the media as a pervert. Yet the first reaction of some people? These reactions deeply upset me—and not just because of the assumption that I could have somehow avoided the crime against me. When are we going to stop putting the accountability onto victims? The #MeToo movement has resulted in many women feeling more comfortable to come forward and tell their stories and confront the accused. Yet people still try to minimise bad behaviour by saying that victims should have somehow known that they were going to become victims. And then people wonder why they haven’t come forward sooner. But I think I know why ‘we’—as a society—instinctively blame victims. I think victim blaming is a form of self protection. I believe that when someone finds a reason to blame a victim, it makes them feel as though something like this couldn’t happen to them. Because they like to believe they are too smart for something like this. Because the alternative is living in a world where we are vulnerable. And no one wants to live in that world because it’s a dark and scary place. Let me tell you something. I’m a pretty smart cookie. I’ve been living independently since I was 17 years old. That’s 23 years for those who don’t know. I’d known the perpetrator of the crime against me for 13 years. And I knew him very well. And it still happened to me. He pulled the wool over all our eyes—and not a single person ever suspected it, until one person happened to catch him out. People can hide things. People do hide things. You can be as street-smart as you like and still not realise. This doesn’t mean we should live in fear. Yes, we can choose not to indulge in reckless behaviours. Yes, we can take certain steps to protect ourselves—to a degree. But we can’t wrap ourselves in cotton wool and not live our lives. Bad people will do bad things—and unless we confront that issue, they will always find someone to target, no matter where she is or what she is wearing, or how careful she is being. And we must not go around blaming those who find themselves victims. It’s an ignorant stance. And it doesn’t help the victims or their friends and families to heal—we already go through phases of trying to work out what we could have done differently or how we could have seen this coming. It’s time to tackle this from the other side. We need to stop talking to potential victims and start talking to potential perpetrators. Put the responsibility where it belongs. Stop victim blaming.